Mandatory MoT tests are a rip off and should be scrapped, according to a think tank. The Adam Smith Institute, based in London, claims that mechanical failures account for just two per cent of all accidents in the UK and the Government should bring its policy ‘into the 21st century’ by scrapping the MoT and shifting its focus on driver error. The RAC has labelled the proposal as “a recipe for disaster”, saying drivers would no longer have to do anything to ensure their vehicles are safe. “We accept the MoT test isn’t perfect, but we’re far better to have it than not,” said RAC roads policy spokesman Nicholas Lyes. The MoT was introduced in 1960 and is mandatory for all modern cars that are over three years old. In 2017 there were over 30 million MoTs carried out in the UK, with 10 million vehicles failing; however, Alex Hoagland of the Adam Smith Institute argues there's “no evidence” to show that the MoT improves road safety. He says it should be scrapped or become less frequent, with a test every three or five years. It's thought that over 65 per cent of accidents in the UK are caused by driver behaviour and in place of annual vehicle testing the Government should put more resources into driver safety, such as driving without a seat belt, speeding and substance abuse while driving. The think tank points toward evidence in the USA, where traffic fatality rates have stayed the same, despite many states abolishing vehicle safety inspections. The Adam Smith Institute says Britons would save £250m a year, with the average driver spending £143 on unnecessary repairs to get their car through the test. 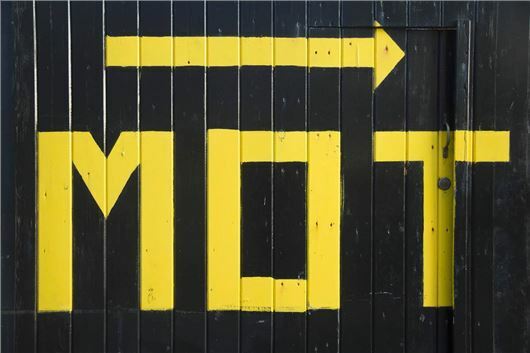 Twenty thousand garages provide the MoT service, which costs drivers up to £29.65 for motorcycles and £54.85 for cars, with the average fee coming in at £33.60. Alex Hoagland, author of the report, said: “The UK has required MoT testing for decades, in order to prevent crashes and fatalities from unreliable vehicles. Nowadays, vehicles are safer than ever, leading some Governments to re-inspect these programs. When these safety inspections were done away with in some US states, accident rates did not change." In 2017 the Government launched a consultation to extend the first MoT for cars and vans from three to four years, but the plan was shelved after it emerged that the changes would severely impact road safety. They might have a point if people today knew how to check their cars over, I work in a car dealer and am the MOT site manager and it amazes me that people bring in cars for MOTs with washer bottles empty, lights not working and tyres that are worn below the legal limit these are the checks that everyone should be doing every week to make sure that their car is in good condition. Perhaps this Institute should accept that it might be the fact that we have an MOT that only 2% of accidents are caused by car defects. All vehicles should have an annual MOT - including brand new ones. Waiting until a car is 3 years old is too long. Dangerous faults can develop in a matter of months. All vehicles should have an annual MOT - including brand new ones. Waiting until a car is 3 years old is too long. Dangerous faults can develop in a matter of months. Why is my opinion 'Utter nonsense' Steve? Steve must test cars for a living. YOU HAVE WRITTEN UTTER NONSENSE STEVE. Why? A CV boot or brake line can get damaged. Brakes might be binding a little so wears out the pads. Just because you have not found this doesnt mean it doesn't happen. Surely new cars usually have one, in effect, as they are serviced annually at dealers? you are all harping on about MOT's it's absolute rubbish just look what the government have implemented. Currently, only vehicles built or first registered before 1960 are exempt from the MOT test – accounting for almost 200,000 cars on the road today. At least in other EU countries they have to have an MOT every 2 years from new and the MOT centres are only 'Testing sites' on licence by their government. Ayup m8, I agree with you, but it's far worse, that has recently changed to 40 years inline with the tax exemption, so anything older then a '78. Likely half a million or more old bangers on the road now with no MOT test. Rusty old Cortinas, MGB's & Moggy 1000's. Scary innit. That article says abolish MOT's 'cos only 2% of accidents are caused by mechanical failure! That is because we have mot tests that it is so low, what a bunch of muppets to spout that garbage. The MOT test was originally a 10 year test, ha, most 60's cars were ready for the scrapheap after 10 years. Rust buckets. Cars are very good nowadays but a company rep can easily knock up 60k miles a year, worn out tyres & brakes could happen in 6 months from new. Not everybody has a new car serviced, it's not compulsory. Good point re government test centres which they have in Northern Ireland whereby the testing equipment is very modern, the testers are independent, a car is £30 (£18 for a retest) and there is no private garage to rip you off. cars dont required tax nor mot after 40 years but many owners still mot their cars and look after them. Change your make of New car Max! Not if you buy a decent marque but then if you're a sad badge culture deviant then you may be correct! MOT tests don't go far enough. Tyres should be removed from the wheels so that they can be fully inspected. The tightness of safety critical bolts should be checked. I have seen quite a few cars that have missing wheel bolts. If a car owner doesn't check or maintain their vehicle properly then there will be accidents. If the repairs are needed to pass the MOT then they are necessary. Alex Hoagland seems to be just an economist. What experience does he have in engineering/automotive manufacturing/the motor trade? He seems to be thinking purely in financial terms. He doesn't seem to have adequate real world experience of things that can go wrong with cars. Some dangerous faults can be hard to spot. Expecting average car drivers to be automotive technical experts is unrealistic. This is the Adam Smith Institute, that well-known engineering organisation and group of right-wing fringe economists. Why is it described as a "leading think tank" on the web-site's intro? Why is the US experience on accident rates in "some states" more relevant than experience in every better-run country in Europe? I'm sure the German MOT equivalent will be stricter than ours, even if their manufacturers rig emission tests on new cars. Dont even get me going on testing for push bikes let alone electric push bikes and disabled buggies. All these should have mandatory tests. Why dont insurance companies ask for proof of service?? The MOT equivalent in Germany (TÜV) only needs to be done every two years. If the examiner thinks your car won't last two years without developing a defect he has the option of giving you one year pass. I'm of the belief the complexity of today's vehicles require they should be examined and above all prove they've received a professional sevice and in effect be recorded on the vosa database, the same as vehicle road fund and current insurance cover, and that for that matter current mot inspection- with the comming of age of smart motorways the systems could pick up and prevent the possibility of substandard vehicles continuing on our roads. So no change, other than I think the so called mot should be scrapped in favour of ALL vehicles requiring a registered and recorded service annually which would include a check in favour of just oil and filter. There are simply too many vehicles going unchecked with total disregards for the safety of owners and others alike. Wondered how long it would take in the thread for somebody to comment on bikes paying no VED. Zero emissions cars also pay no VED. I'd also bet that the majority of adult cyclists are car owners too, so pay VED on their car. Not sure how many ZE car owners have a second car they pay duty on, would bet it's lower than for cyclists owning cars, Would also expect they put far more wear and tear on the roads, yet I never see any complaints about those folks not paying. On the insurance point, how much of a risk is a badly maintained push bike to a car compared to the other way round? Bikes are generally far more of a risk to themselves, or possibly, if on a shared pavement/cyclepath, to pedestrians than to a car user. Having said that, converting more pavements to shared use, I actually agree would be a good thing. In fact, I'd come up with a radical idea here. Allow cyclists on all pavements. This will create some risk to pedestrians, especially as every sector of society has idiots, cyclists included. To mitigate this, I would suggest a corresponding change in the law to make a collision between a cyclist and a pedestrian deemed to be the cyclist at fault unless the cyclist can prove otherwise. This would mean cyclists and peds can use the same space but that it would force cyclists to be polite and take extra care when there are peds in the vicinity. As for mirrors and indicators, for the use they generally are on a push bike, you may as well mandate an ashtray on the handlebars too. I've tried many different mirrors on a bike as I'd love to find one that works well. The lack of suspension and the geometry of where you can put a mirror just means they generally don't work well or vibrate too much to be any use. Given the number of cars that ignore an extended arm showing you want to turn right, I can't see how turning that into a tiny flashing light that can be easily missed depending on road and light will to contribute to better road safety. How many people wouldn't bother to check their brakes - tyres- change their wipers - not worry about extra emissions if they're given the chance. US roads are not the same as UK roads - and neither are the cars -so how can a so called think tank compare the two? Road safety is paramount - don't give some motorists the opportunity to abuse it. "Perhaps this Institute should accept that it might be the fact that we have an MOT that only 2% of accidents are caused by car defects. " Quite agree. I was going to make the same point. As somebody with an economics degree, I think it's fair to point out that Adam Smith was a very early but hopelessly naive/simplistic economist and I fear that the institute in his name is continuing this. The government has wasted lots of money regularly changing the MOT system. However, one very useful result is that it's now easy to get an online history on a vehicle which shows what repairs it has had and gives a useful clue to its service history/care of ownership. As a classic car owner I am concerned that older cars do not need MOT's - I can understand that some garages are not equipped to handle older vehicles, eg brake tests, woodworm in floorboards, but it's quite common to find cars at classic car shows which clearly should not be on the road and there should be some form of mandatory independent testing. As far as I could gather from the published info at the time, it was thought that vehicles 40 yrs +, were "obviously" well maintained to have lasted that long, were almost always owned by enthusiasts, (who would maintain them regardless of an annual MOT), were seldom used, (shows etc), and whilst someone may run a 10 to 20-year-old car "on the cheap", no one was going to apply the "bangernomics" theory to a car of 40 years +. Sort of works in theory, but in practice.......? I have worked in the retail motor industry for 47 years ,some of it as a MOT tester. It would be a gross misjudgment to abandon the MOT . The majority of modern drivers are clueless on basic maintenance judging by the amount that turned up with the tyre pressure lamp ,washer fluid and oil level lamps on. only 2% of accidents are because of mechanical failure eh? could that be cause most people get their cars fixed.. because the MOT is due up soon? What will that figure be when MOTs are not carried out? Sounds like the answer about police presence (or lack of it) A politician said hardly any crime was noted/recorded when the police were physically there are on the streets, so they deemed it to be unnecessary and a waste of resources. Funny that; very little crime committed when the police are there and more crime when they're not? Oh I forgot.. This was a think tank review. The only reason accidents are 2 % due to Mechanical issues is due to the MOT idiots as things get fixed . I work as a maintenance engineer and if you don’t check and maintain and enforce it will be a race to the bottom and will be like hell on the roads . Also insurance costs will rise due to litigation as people take others to court to prove vehicle wasn’t maintained ?? New York State and Pennsylvania State have their "MOTs" done every year. New Zealand once a year for vehicles under 6 years' and twice a year for older vehicles. I suspect that the MOT test also provides the Government with a lot of useful information on the trends of emissions of cars of all ages, and informs their decisions regarding taxation etc. A large majority of people have abysmal knowledge of their car and its mechanics. They just drive until it stops or something falls off. I have seen people driving on a flat tyre because they don't even know how to change a wheel.I could guarantee that they don't give their tyres etc a second glance in a year. Its just as well that they are obliged to let a professional check their car over once a year. If they shop around they can find garages that do MOTs for £25. Some people just cannot be trusted to be responsible enough to check their cars regularly. It would be madness to stop the MOT, although the lack of joined up thinking is shown by the MOT being tightened up one minute and its scrapping being contemplated the next. I'm old enough to remember the pre MOT days, with cars driving round with the exhaust dragging on the road and tyres with no tread to speak of. However, I think that there should be more oversight of test centres. Some of them list ridiculous amounts of advisories, presumably hoping to panic people into having work done. You want to ask us older guys what cars, lorries and vans were like in the 1950s pre any testing. Bits falling off, bald tyres, non working lights etc. One can easily predict a swift return to that state as the cowboy drivers and operators take over. Even though I don’t need it any more my TR6 still has an annual check. Last year it needed some welding and glad to have it done. Abolish MOT and make the owner responsible for the safety of their vehicles, which also Insurance company would insist in order to keep the vehicle up to the road standard or no claim, any accident cause due to the failure of non maintenance of their vehicle, sudden damage can be a failure of faulty part....But bold tyres and worn mechanical parts are the fault of the owner. I just labouriously typed in a lengthy contribution, was then asked for my details to verify authenticity and when I pressed to send was informed that my account already exists and the message then disappeared and I was back to square one. There should be a request for signing in before going through the whole routine! If it isn't broke then don't fix it. The MOT system is far from perfect I know but the average motorist out there doesn't seem to understand the basic of vehicle management and common sense as already pointed out above. Keep an annual test but have it carried out by someone independent that has no financial interest in whether the vehicle passes or not. "mechanical failures account for just two per cent of all accidents in the UK" shows that the MOT system WORKS. We need to change to a MOP test. Most would fail. if only 2% .. compare this to the failure rate for major defects discovered by the MOT, and then ask yourselves what would it be? i have done the job for 30 years and am quit sure that i have saved many not only accidents but fatality's.. risk my grandchildren lives ? not me.. ps if a combined Mot and annual service could somehow be sorted then a win win ..
Just think to how many vehicles you see on our roads with defective Lights, the drivers of these don't seem to do anything about these until " MOT " time. With today's "sealed for life " suspension joints surly a MOT would make sure these are also up to spec. We see to many car on the road and wonder " if that got a mot, " or how did that pass it's mot. I'm all for keeping our present MOT system. Exactly, I have known people whose cars have failed (usually on a motorway at night) and subsequently it has emerged that they have seen a warning light on the dashboard for a couple of months. Of course, as the car still goes they ignore the warning. Luckily I was brought up my Dad to note odd noises and warnings, notice if the engine was 'pinking' (a rarity these days). Preposterous idea! The fact that 2 % of accidents are caused by mechanical failure speaks for itself. It's still 2 % too many, especially if your car is hit by one. And those are the cars that are most likely not to have insurance. If a driver is not willing to maintain his/her vehicle properly, he/she is also more likely not to have adequate insurance. Also the chances are that such a vehicle does not have an MOT, and has not paid the road tax either. Sometimes a well-maintained car does fail, and that is very unfortunate. However, getting rid of the MOT will be a considerable set back, not only with the safety of neglected cars, but also pollution. There is an old Giles Cartoon showing a dilapidated car, and the copper saying to the driver, "I would put a match to it, sir, before my sergeant sees it." Although I was not yet old enough to drive, I was already car mad by 1960 and remember that thousands of pre- and early post-war cars were scrapped because they were not considered worth the cost of repairing to pass the MoT. Like many other responsible classic car owners I still have my Rover P5B Coupe MoT'd annually. The RAC got it right when they described the possible abolition of the MoT as "a recipe for disaster". Every cheapskate and freeloader would immediately take the chance of skimping on essential maintenance, with potentially dangerous consequences for the rest of us. Conman should do some research before he posts. From 20 May 2018 the MoT exemption for classic cars has been extended from pre-1960 to cover cars over 40 years old. Academics have no common sense. Dorset123 is totally correct. I'd add useless windscreen wipers as well as basics like brake fluid and such like. Low tyre pressures including spares are another danger.. Here in France MOTs (Contrôle Technique) are carried out by dedicated centres, not garages. Their inspections are carried out with no vested interest. Seems a fair system to me. Anyone who remembers the days before the MOT test will know that if it were abandoned the roads would gradually become a playground for more and more mobile deathtraps.2-3% might be small but it is very significant. The elephant in the room here is the figure of 85% of serious accidents caused by driver error. When on a speed awareness course I challenged the wisdom of the road safety industry's concentration on the 13% of serious accidents allegedly caused by inappropriate speed (because fining excessive speed is the only way to produce revenue), one of the lecturers gave his opinion, in public, that the real figure for serious accidents caused by driver error was probably more like 95% and that speeding per se was consequently a very minor cause. Nothing of significance will be done to change this situation as the costs of widespread driver re-education are almost unimaginably large. The death traps are still there. Enforcement is weak. Everytime the inspectors check on some of the more notorious areas (which is very rare) scores of cars are clamped at side of road. No MOT, tax or insurance in many cases. They only catch the brazen ones the more cautious park them off the road and seem to get away with it continuously. We only test cars owned by people who normally keep them in good condition. I agree that the MOT should be carried out by Independent MOT stations that have no vested interest in either failing or passing a car. I went for an MOT on my Jaguar XF, a couple of years ago. This was at a National Chain. They tried to get me to have the brake pads replaced, saying they were almost ready for replacement What they did not know, was they had only been replaced Two weeks earlier during its annual service at a Jaguar Dealer. As an ex Company car driver doing 60,000 per year, I would question the logic behind letting my Company cars do 180,000 miles before an MOT is required and yet my Jaguar which was bought new had to have one with 18,000 miles on, just because it was three years old. Even the examiner said it was ridiculous, because the car was like new. The MOT should be milage based, with the first at say 35,000 and 12,000 increments thereafter. We must bear in mind that cars are far better built and far more reliable that 50 years ago. Totally agree with mileage based MOT instead of time, although there may have to be a time limit for the first MOT as well, as things can deteriorate with time. For example I only do around 3K miles a year and having a 35K first test means my car would be well over 11 years old by the time the first MOT was due. I have to agree, all cars need an MOT. I've seen and worked on cars all my life that really shouldn't have been on the road, yet they are and some people are just lucky and get away with it. SOME PEOPLE STILL DON'T BOTHER TO GET AN MOT OR INSURANCE OR ROAD TAX!!! Faults can occur on vehicles, even new ones. How many times have you hear a car go past that is exhibiting a grinding noise, or some other mechanical noise and the drivers seem to be totally oblivious, and some of these are fairly new cars. I think Commercial vehicles (lorries and vans alike) that do lots and lots of miles each week, let alone annually, should be inspected every 6 months, perhaps for a minimum of brake, tyre, exhaust and loose body parts. There are no end of bits of lorries scattered over the motorways. Not to mention chunks of lorry tyres! This is, in part, due to the fact that commercial operators are allowed to recut worn tread so they probably push it too far. This suggestion seems to have raised a storm. I have no objection to the Annual MOT. It keeps us on our toes. However, I agree that MOT testing should be entirely separated from service garages with no commercial link between the two. It may be necessary to raise the test fee somewhat to compensate for lack of repair business. The temptation is for unscrupulous garage owners to cash in on unnecessary repairs. I well remember cars in the forties and fifties with bits hanging off, no windscreen washers, tyres so bald that the canvas showed through and brakes so bad that hitting the stationary car in front was frequent. Motoring is an expensive business but the cost of the MOT is peanuts. the uk m.o.t. test is a minimum standard of vehicle condition. i have friends who do nothing at all to the cars they own, not even a service. how safe would they be if the test was scrapped, doing 70 mph down a motorway with young children in the back ? the test put dangerous cars off the road, people would keep cars until they fell to bits. cars are made of metal. they rust. please keep the m.o.t. test ! steve @ hebburn. My hobby is restoring classic cars so I naturally maintain my modern runabout as well. I know the precise condition of every part of my cars and none has failed an MOT for many years. Although abolishing the MOT would suit me the average modern person is absolutely clueless - my MOT tester tells me that people bring in cars with stupid, obvious faults such as blown bulbs, bald tyres or rotted wiper blades and are happy to pay the garage attend to these things and pay a retest fee. Most people seem to have absolutely no practical knowledge or skill these days and will call a plumber just to change a tap washer let alone be aware of the condition of their cars so the MOT test is vitally important. I partially agree with Howard regarding speeding and the link to serious accidents (or "collisions" as they are now termed in order to try to demonstrate that there are no "accidents"). Of course the vast majority of collisions, injuries, and deaths can be traced to at least one driver failing to cope adequately with a situation, hence driver "error", but driving is easily the most dangerous and complex environment that most people face in their lives and, if they do 10,000 miles a year, they are in that situation for hundreds of hours per annum, often in close proximity with others of limited expertise at approach velocities of two hundred feet PER SECOND! Like Howard, I'm not above being held to account for "speeding" - in my case captured by a camera on a dual carriageway where I assumed that the 30 limit had ended as the road was virtually motorway standard and went up to the high 30's. The camera was apparently installed to trap drivers approaching traffic lights on the other side! I was later told that it generates over a million pounds a year in revenue, and quite possibly has no road safety benefits at all. Having said that, if drivers involved in a serious collision were asked "do you wish you had been travelling slower immediately before the accident?" I wonder how many would say "Definitely" and how few would say "No, faster"! It's recently cost me nearly a thousand pounds to get my wife's little car through its MOT due to a problem with the ABS pump. It did pull a little to the offside when I tested it on the way from the main dealer (quote £1500) to an independent garage, who confirmed the problem but fixed it, with a new Bosch unit, at half the price and did the MOT and a service. I don't know how it would have behaved in an emergency stop situation, of course, but I'm glad it was diagnosed and fixed thanks to the MOT. Now i am not the worlds most intelligent man but scrap the mot because only 2 % of accidents are caused by dangerous defects ?? Err hello we have an mot to ensure cars do not have dangerous defects and it clearly works. What planet are these people on? I do hope they are not getting paid to reach such ludicrous conclusions. I know lets scrap the mot, see the accident rate rise and wait till a government think tank suggests a vehicle safety check every year!! Think tank muppets !! So 98% of accidents are caused by ?. probably driver error. So have a driver retest every year-simple. Problem solved at a stroke and employ thousands of testers. Get them from the redundancy of car mechanics. This solves lots of issues and would make driving much safer as you would be always revising for the next test. Keep you up to date on legislation too. And no 40 year exemption either. Come on government get on with it. I am ready as I drive within the speed limits and I still indicate to turn or to change lanes. who does that now? No one in a BMW for sure in the local City. I feel to stop MOT's could leave a lot of neglected cars on the road as many do not check their cars. It would be nice to have the MOT linked to mileage but so many would get the readings turned back making unreliable. My new car has done 5K miles in 7.5 years and fully serviced, I have a comment on MOT for light cracks on tyre walls but MOT and Tyre centres say not dangerous or illegal but may advise new tyres if driving at speeds on motorways so they will advose when I should change them. I had old cars years ago and know how they used to develop faults so don't believe old cars should be exempt from MOT. I belong on a manufacturers forum site and 2 questions often asked are how long should front brake pads and discs last like because my dealer said they needed changing after I have only done 12000 miles and the other is how long should my clutch last because I need a new clutch and I've only done 2000 miles. It is this kind of questioning that shows we need to have MOT retained. Seeing some of the dangerous pieces of crap driving around in rural America, I wouldn't go down the no test route. In the UK you have boy racers modifying cars without any knowledge of mechanical engineering or vehicle law- fitting parts off eBay which aren't suitable for the UK. The lack of Traffic police usually means they get away with it- it's only the annual test the stops potentially dangerous cars being on the road. MOT's may not improve road safety but they improve vehicle safety. I know people who DO NOT know how to check their oil, water and screen wash and rely solely on an MOT thinking this that its ok to go from year to year without checking any part of your car for defects. Checking your cars lights and fluids must be part of the driving test and more importantly the tyres which DO contribute to accidents. Is there still a record of accidents being caused by vehicle faults before the mot came into force. Yes cars are better built, better put together, I drive a fairly new car, and am no longer able to do my own maintenance, in spite of having a ealership service, I still look forward to the mot to check all the necessary safety issues, and feel safer for it. I check tyres every time I Use the car as well as all the lights. I nearly had a head on collision in a narrow road recently. It was only at the last second that I realised it ha 4 wheels and no offside lights, only near side lights. Such faults are picked up on mots, as some drivers don't check their vehicles. If a car without an MOT is involved in a crash and a vehicle defect is found, the Policyholder's Insurer may try to invalidate the insurance on the grounds that there is no evidence that the owner had tried to maintain the vehicle in a roadworthy condition. At least an MOT is proof that the vehicle was roadworthy on one day that year ! This issue has already be raised concerning the new law that vehicles over 40 years old don't need an MOT. I have a 1978 Cavalier and next year I will continue to have my 40 year old car MOT'd every year, for peace of mind, both from a safety and an insurance point of view. I bet if the MOT was scrapped, there would very quickly be "adequate evidence to justify the MOT"! I know quite few people who don't look under the bonnet at all - they rely on a service (that's if they bother to get one), and the MOT is a good prompt for that. I think this proposal is madness, it’s not April today is it?? Vehicles should be annually inspected to ensure they are safe to be on the road. If the people who are suggesting this had a member of there family killed or injured by a dangerous or defective vehicle they would be the first to demand vehicle testing. To go a stage further, the first three years were an m.o.t. Is not required should also be governed by mileage covered. 3 years or say 100,000 miles whichever comes first. The MOT is only a piece of paper to say at that time the car is in a road worthy condition. I once had a car that passed its test in the morning, in the evening I was pulled over by the police as my break lights had failed. No matter what age the car is thing can happen any time. I wish I could get a job in the government. Giving out rubbish advice and totally getting away with it! Buy Diesels they are good for the environment. Buy EV they are less pollutant ?scrap Mot .they really are insane .just take one example tyres .I wonder what percentage of motorists don't look at them ever.and that's with a Mot in place. I do not agree with the scrapping of an annual MOT Test for any vehicle but believe that all tests should be carried out by a dedicated centre that does not have a repair business attached to it. Several times I`ve been advised that I`ve needed replacement parts such as steering parts, brake discs and pads when I`ve gone over my vehicle and replaced the said parts BEFORE the actual test!! The MOT Test can be a lottery but I take my vehicles to a dedicated MOT testing place and mostly they pass or fail on something I cannot see or check which is fine by me and the ``advisories`` are fixed ASAP. I would not want to be responsible for deaths / injuries to ANY road user or pedestrian through being a scrooge or too lazy to get my vehicles fixed to being in A1 condition. Now I do believe that all drivers should have an annual driving test and if over 40 years old an annual eye test this would boost the Government`s coffers as well as removing some poor drivers from the road. I`ve always said that if I failed such a test then I would need to get up to date with road signs , changes of road layouts etc or wear proper glasses to bring myself up to scratch.I regard myself as just an average driver that tries to obey speed limits and other directives but Inotice that driving standards are rapidly declining- I`m regularly ``tailgated`` even when travelling at 60mph strangely enough the majority of these idiots are blonde women wearing dark glasses driving German cars particularly Audis and Mercedes (I drive a Jaguar). Do they issue a hand book with these vehicles instructing the said owners of these vehicles on how to drive like a ``Plonker`` as you must drive as though you own the road and infuriate / inconvenience other lesser mortals? The condition of many cars was unbeleavable people only went to a garage when the car stopped running or something dropped off..
Perhaps it would be better to have mots based on mileage . The Adam Smith Institute says the MOT should be scrapped on the basis that only 2% of vehicles involved in accidents were due to mechanical defects. Well, if that goes through I would propose that speed limits should be abandoned as only 4% of accidents involving death and serious injury were caused by exceeding the speed limit. Let chaos reign! As much as I hate speed limits, abandoning them would be as stupid as ending the MOT. This only proves that economists make very bad engineers, and lack any commonsense. The worst idea I’ve read for ages! When I was a Police Traffic Patrol officer I was also an authorised vehicle examiner. If police officer stopped a vehicle which was thought to have a defect, or a vehicle was involved in a fatal or possible fatal crash, or a driver alleged a defect as the cause of a crash, then the vehicle was comprehensively examined for any defects. Often there were none. But it was not uncommon to find problems with lights, brakes, tyres, and suspension and steering parts which were defective, although not necessarily attributable to the cause of the crash. I well remember a Vauxhall Cresta with a single circuit footbrake system which worked perfectly well, but at some point the main front to rear metal brake pipe had rusted through and the owner had mended it by cutting it through, jamming both ends into a short length of plastic fuel pipe and securing them with jubilee clips. How long that would have lasted I don't know, but I would not have liked to be in the car, or in front of it when it did fail. Nobody seems to have mentioned that both the driver and owner of a vehicle have a legal responsibility to maintain a vehicle used on the road in a safe condition. The penalties for failing to do so are quite severe whether the vehicle requires an MoT or not. Talking down the statistics by referring to the number of accidents caused by mechanical failure as “only 2%” is misleading and dangerous. As ever with percentages they are meaningless unless we know the total number, which I bet is a large number. To scrap the MOT test would be reckless to say the least. Whilst I feel in principal that an MOT is a good idea like the RAC I agree it is not perfect. The main issue I have is that you can drive a car one day take it for a test the next day and it can be deemed not roadworthy by a garage that has a vested interest in the potential repairs. I feel on many occasions 'rusted' brake ferrules are not really a fail and 'low' brake pads another way of generating work.But of course we are told they are safety aspects and MUST be replaced immediately at greatly inflated prices. Yes have a test, yes make greater use of the advisory section and yes provide some grace period to allow the customer to get alternative quotes for the work to done or indeed to do the work themselves and return for a re test. Excellent point. We are safer because drivers are forced to maintain their vehicles to a minimum standard. The figures for years 2016 - 2017 for class 3 -4 MOT results states 28.68M vehicles were tested, 10.15M initially failed with 2.45M being rectified by the MOT station. This leaves 7.70M (26.8%) of the vehicles requiring additional repairs. With this number of vehicles with various faults on the roads how many accidents would be attributed to faulty vehicles? This comment column reads like an MOT testing advert! A business widely regarded as adept at ripping off naive and vulnerable customers. It seems to have been ignored that driving an unsafe vehicle is breaking the law, even if it passed its MOT the previous day. I regularly hear of drivers knowingly ignoring serious faults knowing that the MOT is due months ahead and they will get it fixed at the MOT. The thinking being that they risk a rip off garage visit only once instead of twice.